Along with being one of the most beautiful drives in all of Colorado, and that’s saying something, you will also find great beers and quirky brewers on the Million Dollar Highway. From Durango you’ll hit Silverton first, an old mining town where gold was first discovered in 1860. Silverton is the only town in San Juan County, which is home to roughly 500 people. Though it is small, the town packs a big punch with its stunning mountain views and endless adventure sports. 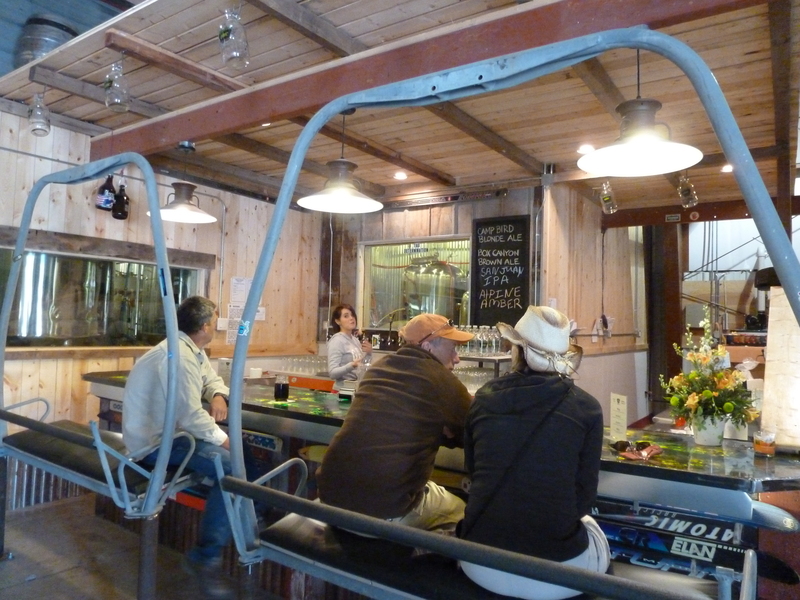 Stop into Silverton Brewery to sample one or more of their delicious suds offered May through October. Also, just off Main Street is a smaller brewing operation called Avalanche Brewing. When you first walk in it may appear to be more of a cafe/coffee shop, but during our visit they had two beers on tap with plans for more in the future. The assistant brewer hails from Palisade where his family has a hop farm, the very hop farm that provides Odell Brewing with hops for the 5 Barrel Pale Ale and for my personal favorite, Mountain Standard Double Black IPA. 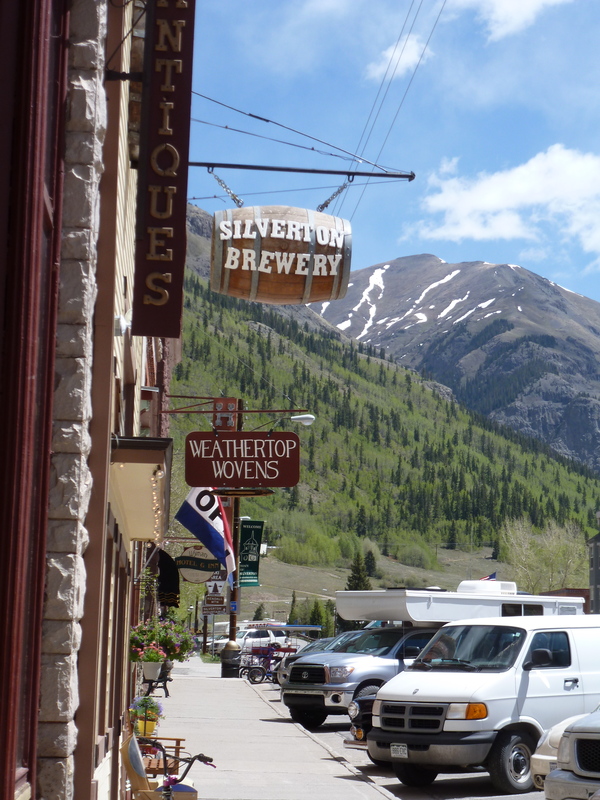 For more info on Silverton and their trailblazing leader at the Silverton Brewery, Kate, check out our post from the summer of 2012. Continue north over Red Mountain Pass on Highway 550. Up here, you’ll get the full alpine experience and finally understand the lyrics “Rocky Mountain high.” In addition to soaking in pure aesthetic beauty you’ll also have the opportunity to learn about the rich mining history of this area. 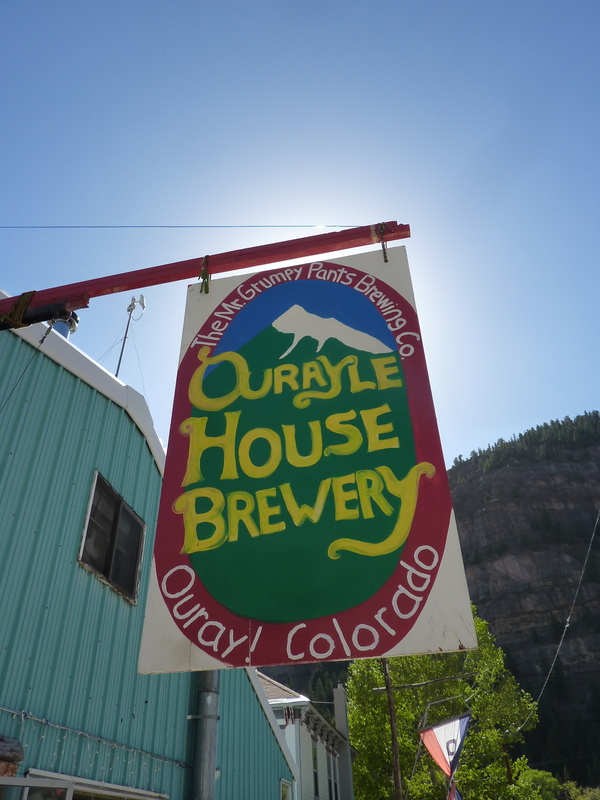 Eventually, you’ll make the dramatic descent into Ouray, “the Switzerland of America.” This town of only 800 year-round residents is home to two breweries, Ouray Brewery and the Ourayle House Brewery. 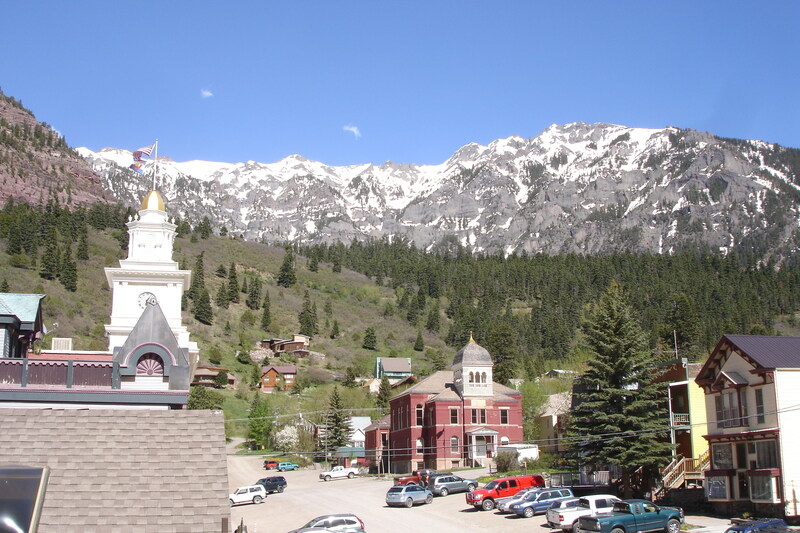 The view from the rooftop deck of the historic Main Street building that Ouray Brewery occupies is one of the best panoramas in the state. Stop in and grab a bite to eat while you relish in the mountain vistas. Also, visit their new riverside taproom located half a mile north at 1900 Main Street. This is a great spot for locals and travelers alike with outdoor picnic table seating by the river and ski lift seating at the bar. There’s also a pool table if you’re looking for a little more activity. One block off Main Street on 7th, you’ll find the Ourayle House Brewery, also known as “Mr. Grumpy Pants Brewery.” Ourayle may be open, and it may be closed. Owner James Paul Hutcherson, or “Hutch,” generally opens the doors around 4:30pm and closes when he feels like it. When you find a spot at the bar, Hutch will slide down to you on a swing attached to a barn door rail he’s installed, and take your order. There’s always something good on tap, an interesting local to talk with, and mountaineering gear and area maps hanging on the wall to admire. This is a brewery for those who would rather spend their days in the mountains instead of civilization, for those who need a beer to relax their muscles instead of Advil, for those who probably won’t be knocking on the door when the snow is good, because Hutch is probably out enjoying the outdoors anyway, and you should be too. Just down the road is Ridgway, the bedroom community to nearby Telluride and home to brewery owner and guru, Tom Hennessy. Tom knows his way around a brewery, having owned and sold five prior to settling in Ridgway. 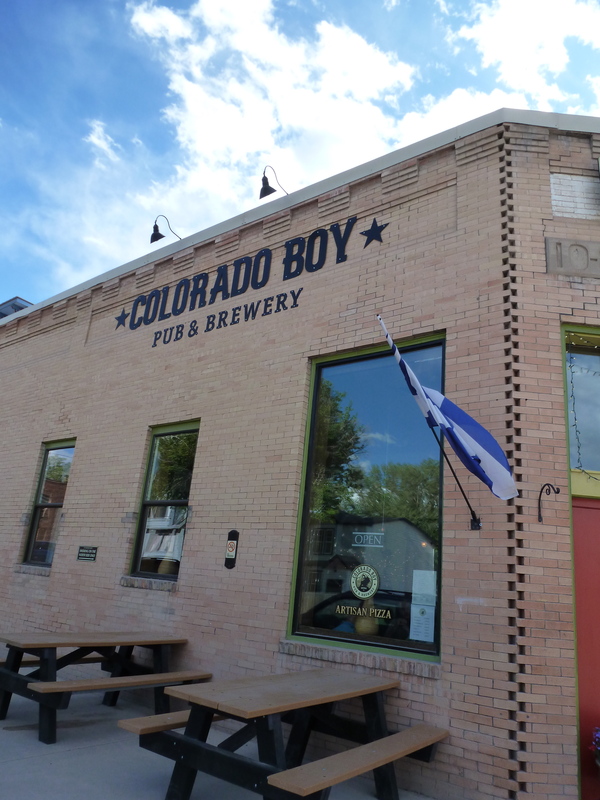 His latest venture, Colorado Boy Pub and Brewery doesn’t disappoint. Located in a 1915 downtown building with great pizza and brew, this is a great spot for lunch or dinner, serving up well crafted beer and and delicious pizza. Colorado Boy is a relatively small spot, but if you are lucky enough to snag a chair at the bar, be sure to chat it up with friendly Ridgway locals and get the scoop on where to go next for beer or an outdoor adventure. No matter what you do, don’t leave the San Juans yet. There’s more to see on the west side of the Million Dollar Highway drive in the towns of Dolores and Telluride. Ridgway, CO, has no “e” in it. None. Not even one (1). This one is just embarrassing since it’s one of our favorite spots in the state. Can’t even blame phonetics. Thanks for the catch!